Oh Lord, please never let it form. "I won't shed a tear", she lies. And down her cheek a raindrop rolls. And didn't reveal a single raindrop of her pain. But never again will I let my mother cry. Click To Rate This Poem! 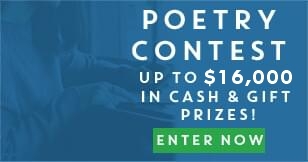 You can publish your own book of poetry for as little as $350! Click here to learn how.